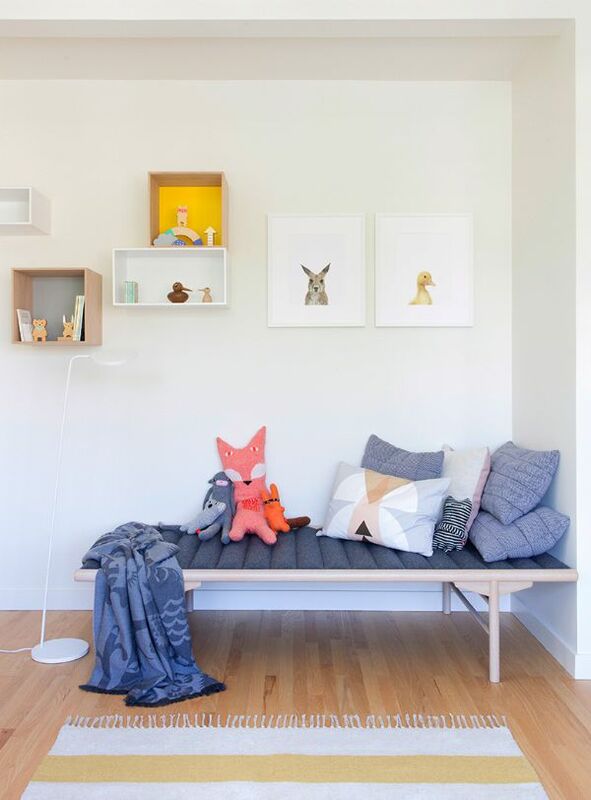 Decorating a nursery doesn’t need to be costly or difficult. Some little details are enough to add beauty and warmth to any baby’s bedroom. 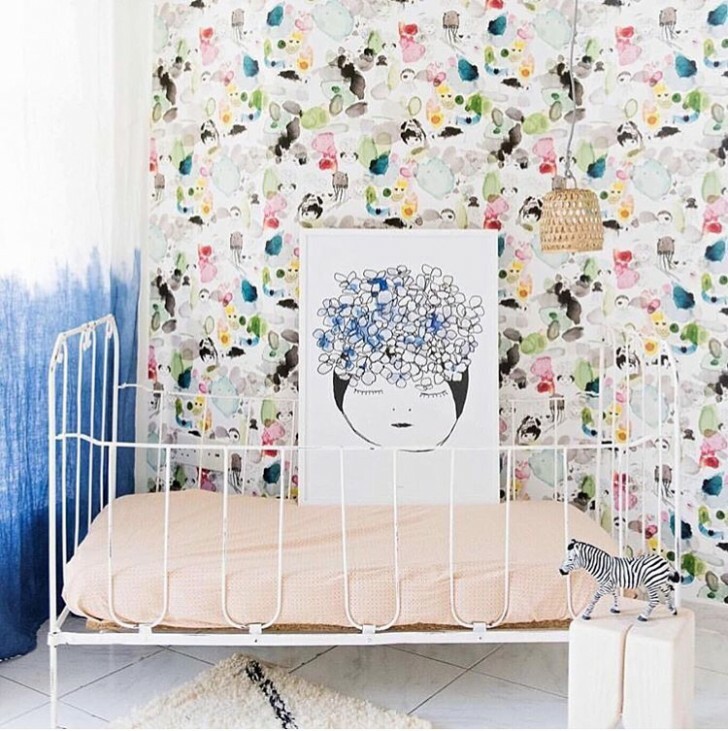 A beautiful wallpaper, a dreamy canopy, some cosy blankets or wooden accents can add whimsy and a playful touch and make the room feel ready for your baby (or redecorate it in a quick & easy way). Of course, prints, garlands or mobiles could be a good option too. 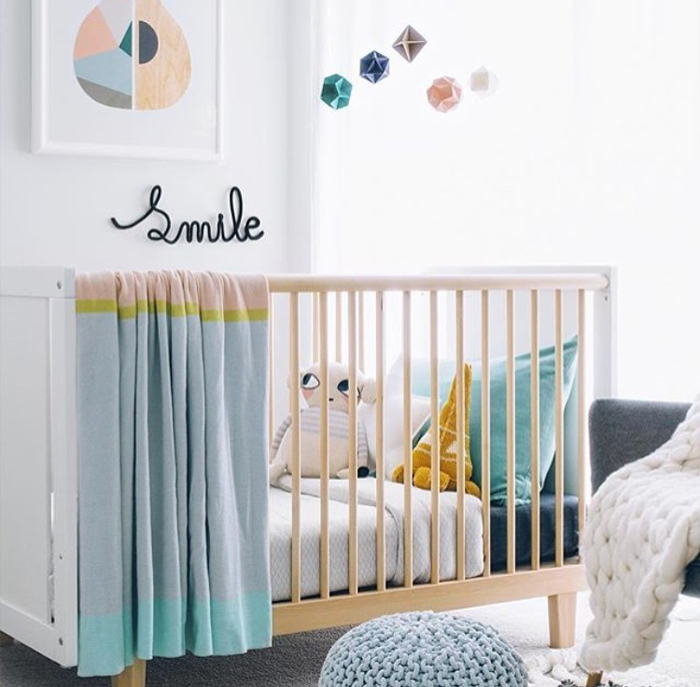 Decorate a nursery on a budget with simple articles with great charm. Need something nice to hang your favourite baby clothes on? A clothes rack will make both your nursery and your clothes look pretty. 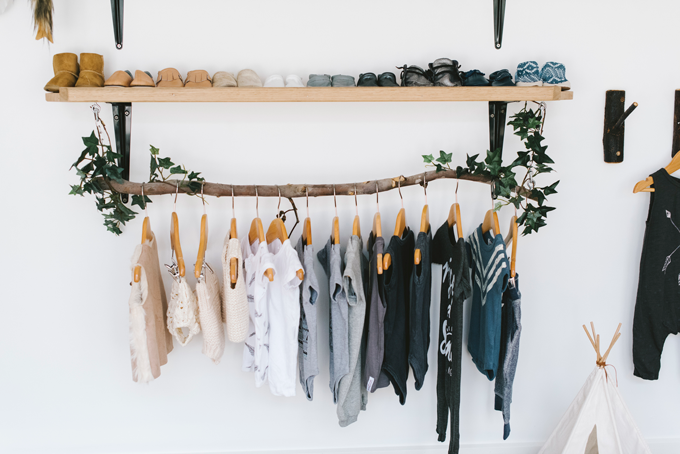 I love this DIY branch clothes rack found on tiny tribe magazine. More cute decoration ideas with branches and natural sticks here. There’s something so snug about hanging textiles up on your walls. 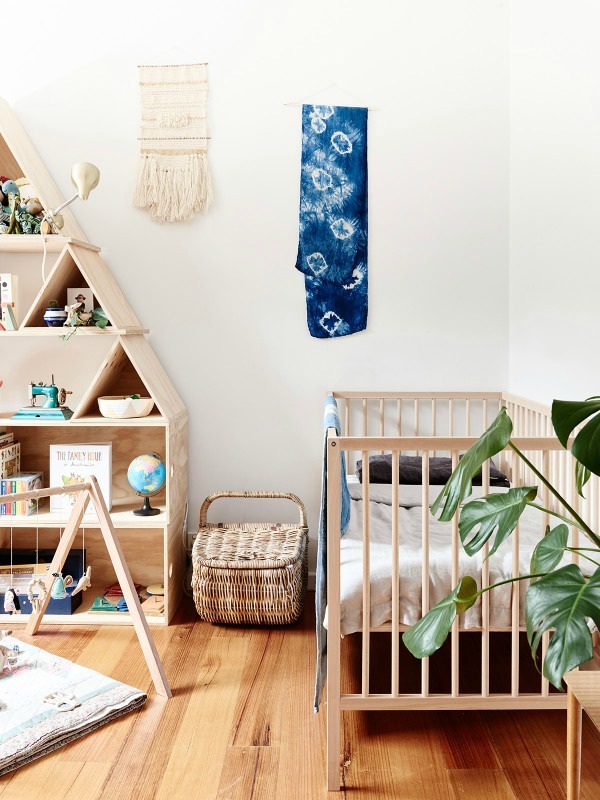 I really love the wall weaving by Maryanne Moodie and the shibori wall hanging in this baby’s bedroom. 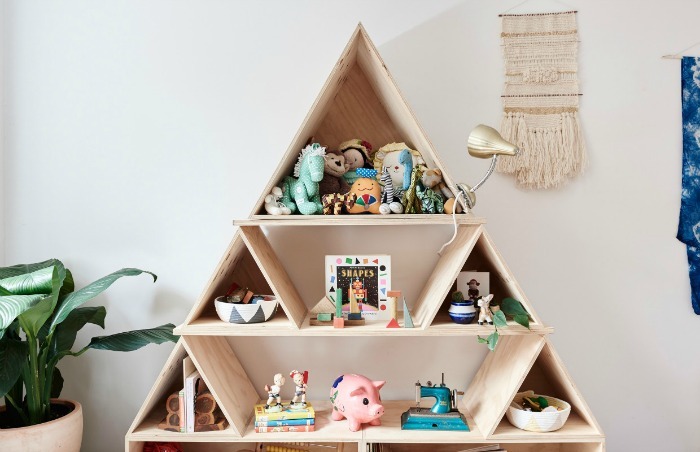 Another simple, great idea: some little toys displayed on a special shelf, in this case, the modular pyramid shelves from Like Butter. A textured rug is another excellent way to add cosiness and elegance to your décor. 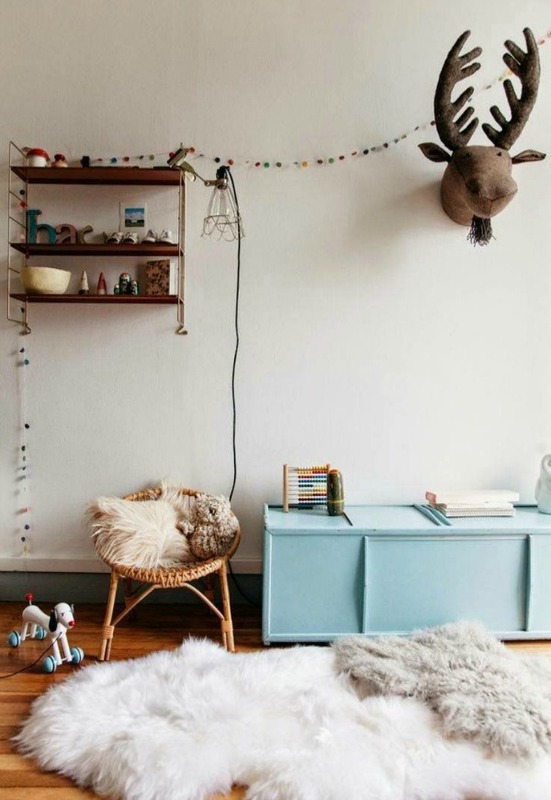 This sheepskin rug from Smallable is perfect for these cold winter days. The felt garland is also another easy idea to bring colour and bright to the nursery. Add an accent wall! Paint a corner or wall, it’s a quick, easy and budget friendly way to renovate your nursery. 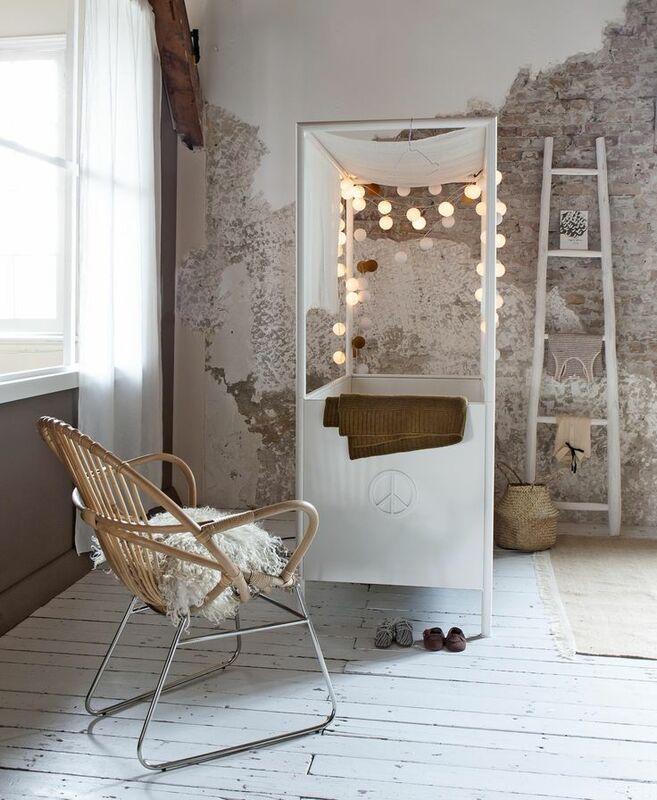 You have different options, from two-tone walls to blocks of colour, paint some lines or geometric shapes. 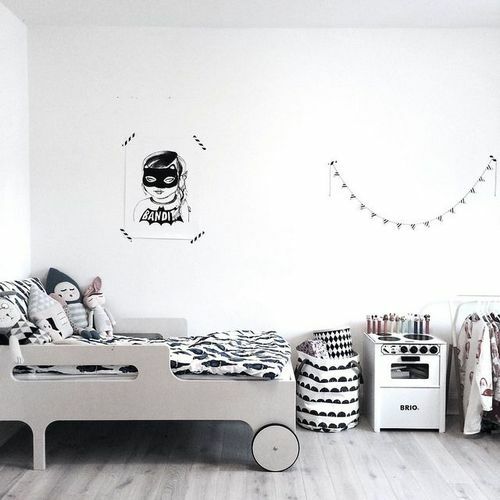 Here a useful post with more options: 6 adorable ideas to paint kids room walls. It’s all in the details and the way you combine all the elements. Have fun! Need more inspiration? You ‘ll find lots of ideas in our nursery section.